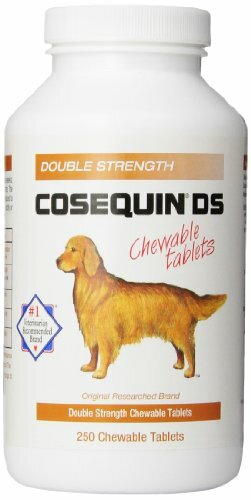 Cosequin for Dogs is the number one veterinarian-recommended supplement to maintain healthy joints. Cosequin's active ingredients include glucosamine and chondroitin, and it can have a positive impact on joint health while avoiding the side effects that can sometimes accompany prescription drugs. Cosequin is a patented scientifically researched nutritional supplement dispensed by thousands of veterinarians to help dogs maintain healthy joints. As dogs age it is common for their joints to become less flexible which impacts their mobility and quality of life. 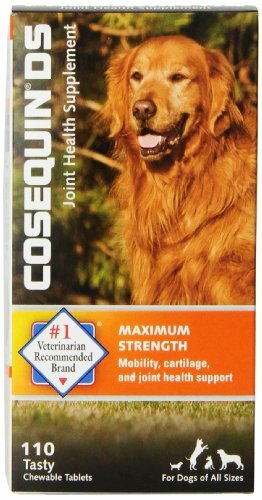 Joint Supplements, Cosequin for Dogs is the number one veterinarian-recommended supplement to maintain healthy joints. Cosequin's active ingredients include glucosamine and chondroitin, and it can have a positive impact on joint health while avoiding the side effects that can sometimes accompany prescription drugs.